A burger bar in Hove has applied for a licence to stay open until 2am at weekends and midnight for the rest of the week. But police and licensing officials are concerned that later trading will give people who have been drinking somewhere to gather in an area where there are already concerns about anti-social behaviour. Joe’s Burger House, in Church Road, Hove, currently opens from 5pm to 11pm from Tuesday to Saturday. The takeaway, on the corner of Second Avenue, opens from 5pm to 10pm on a Sunday and is closed on Mondays. The owner, Amin Zamani, wants to open at noon seven days a week and close at 2am on a Saturday and Sunday morning and at midnight for the rest of the week. Inspector Di Lewis, from Sussex Police, has written to Brighton and Hove City Council as the licensing authority to object to the application. While accepting that Mr Zamani had no plans to sell alcohol, she said that the police objected to his application “on the grounds that it will undermine the licensing objectives of the prevention of crime and disorder, (the prevention of) public nuisance and public safety”. Inspector Lewis said that Joe’s Burger House was in an area designated by the council as a “special stress area” which includes the whole of Church Road and the streets off it. A report to councillors said that the special stress area was “deemed an area of special concern in terms of the levels of crime and disorder and public nuisance experienced within it”. Anyone wanting a new or extended licence in the special stress area is subject to tougher terms than in the quieter suburbs of Brighton and Hove. Inspector Lewis said that the council’s policy for the special stress area recommended that takeaways close at midnight. She said: “Sussex Police note that Church Road, while being a parade of shops, is residentially populated with flats above the parade. “The area also suffers from a certain amount of anti-social behaviour. 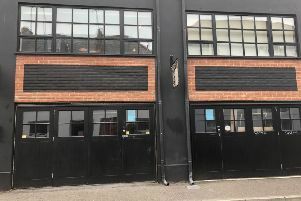 “Sussex Police have a concern, due to a number of licensed on-sales premises along Church Road, that a late-night takeaway until 2am on a Saturday and Sunday morning will allow people to congregate in front of this premises and cause an increase in crime and disorder, public nuisance and risk to public safety. “This is supported as the location of the premises falls within the electoral area of Central Hove. “According to the ‘Public Health Framework for assessing Alcohol Licensing’, this specific area ranks fifth worst for police-recorded alcohol-related incidents, eighth for all violence against the person and eighth for sexual offences. Council licensing officer Emma Bullen also objected to the proposed licence to sell late-night refreshments. But Mr Zamani had not made any reference to the council’s policies relating to the special stress area and had not cited any exceptional circumstances. His application is due to be considered by a council licensing panel at Hove Town Hall on Monday 29 April. The panel is expected to consist of three Labour councillors – Julie Cattell, Mo Marsh and Jackie O’Quinn – and the hearing, which is open to the public, is scheduled to start at 10am.